In Self-Reliance, Emerson wrote, “A foolish consistency is the hobgoblin of little minds.” As part of a multi-browser workflow, however, consistency of basic features is a time-saver. One such browser feature is the web address bar. Most commonly, and by default, web browser developers have long positioned the address bar at the top of the user interface. Users are accustomed to its presence to the right of the navigation buttons. Not to be an address bar curmudgeon, but the option to affix the Microsoft Edge address bar the same way all the time would be welcomed. A modification to the Windows registry is what it takes to bring it there — and keep it there. Here’s the issue. 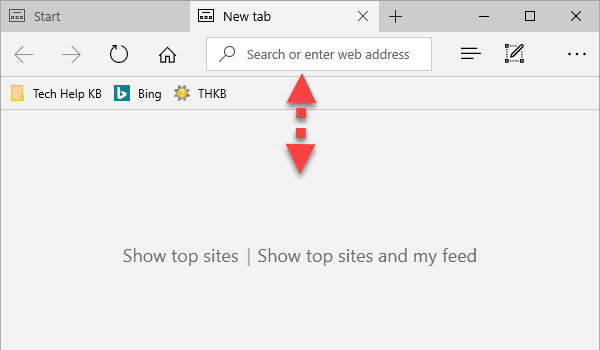 On the Edge start page, and when you open a new tab in Edge, a Search or enter web address input field displays well below the traditional address bar position. If you use the favorites bar, the field is below that too. 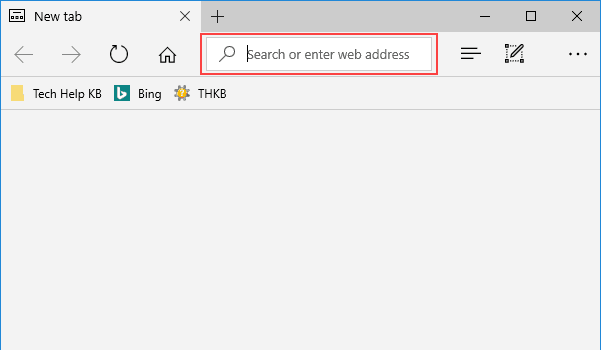 When you type or copy/paste a URL into the field, the destination page displays in the same tab, and the web address is visible in the traditional address bar position. Unless you open a new tab, the web address bar stays in the expected position. Here is how to keep the address bar in that position when you open new tabs. Before you start, make sure you are running the latest version of Windows 10 (Window 10 version 1607, the Anniversary Update, or higher). 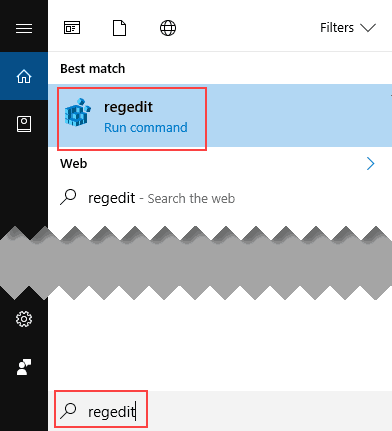 To run the Registry Editor, type regedit into Windows search. Click regedit Run command in the results. If you are not logged in as an administrator, right-click on regedit Run command. Click Run as administrator from the right-click menu. Right-click on ServiceUI. In the right-click menu, click New. In the sub-menu, click DWORD (32-bit) Value. Name the new value StartPageAddressBarPinned. Create a second DWORD (32-bit) Value and name it NewTabPageAddressBarPinned. Next, right-click on each new name, and click Modify (or just double-click it). In the Value data field, change the 0 to a 1, then click OK. Henceforth, the Start Page and the New Tab Page display the address bar in the traditional location. Thank you for visiting Tech Help Knowledgebase to learn about how to affix the Microsoft Edge address bar.